I am a freak about neck scarves and cowls during the colder months...it is simply the easiest way to elevate a basic winter or fall coat. 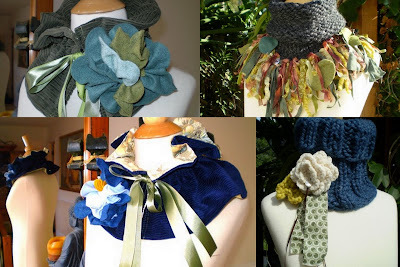 These whimsical, colorful and creative cowls and neck wraps by Thneeds are gorgeous, gorgeous, gorgeous!! Prices start at around $56. Check out more stunning designs HERE.